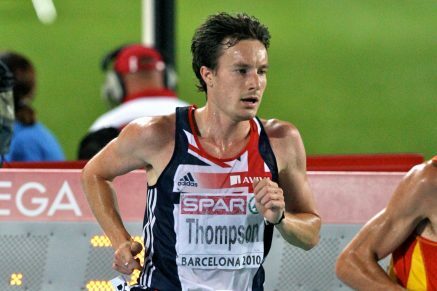 23rd October 2016 – There was a very popular home victory on the South coast of England as Chris Thompson (GBR) ran a brilliant race at the Great South Run. In fresh and at times windy conditions Chris was in an early lead group with fellow Brit Andy Vernon and Irish Olympian Paul Pollock. However, just past 6 miles Chris started to push the pace and gradually ground out a large lead that eventually saw him cross the line over 40 seconds clear. At the start of the year Chris had an Achilles operation that even he could not be sure would allow him to return to the top level. So, after a series of races that had seen him finish seventh in the Great North Run, fourth in the Great Scottish Run and second in the Great Birmingham Run this victory was even more welcome and a new personal best time of 47:23 for 10 miles was just an added bonus. Another athlete who has been working hard is Mary Cain (USA) and she opened her winter campaign at the Mayors Cup Cross Country race in Boston. Despite a blustery wind and some tricky underfoot conditions Mary ran a solid race and finished in third place over the 5km course.